Video footage of Bennington and STONE TEMPLE PILOTS guitarist Dean DeLeo talking to Artisan News about "Black Heart" can be seen below. "Out Of Time" reached the No. 1 position on both the Mediabase Active Rock and Mainstream Rock chart last month. 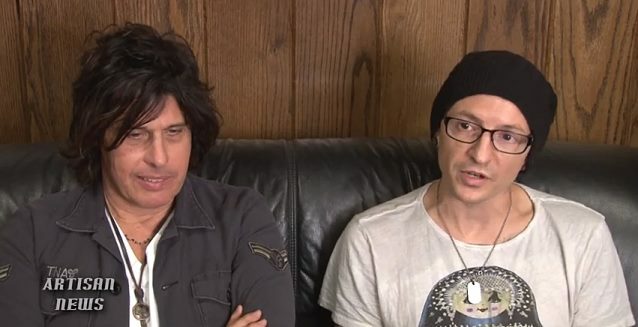 "In terms of style, when the DeLeo brothers [Dean and bassist Robert] get in the studio and start writing, they have a very unique way of putting chords together and structures and the type of chord progressions they put together," Bennington told Fuse News of the writing process in the new STP. "So, in that sense, it's gonna be undeniably the sound of STP — I mean, they're the heart and soul of the band. Naturally, I'm not [former STONE TEMPLE PILOTS singer] Scott [Weiland], so I'm not gonna think of the same melodies, I'm not gonna think of the same lyrical content and such, so in that sense, naturally, there's gonna be a difference in terms of how I interpret what the band puts together musically. 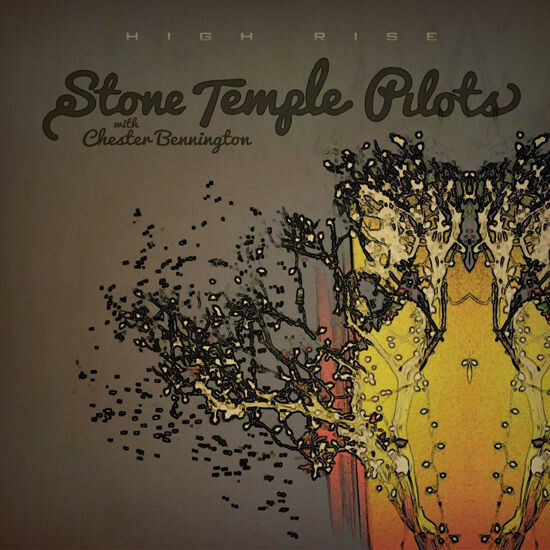 I think that's one of the reasons why we're so eager to get the [new STONE TEMPLE PILOTS] EP out, because we want people to hear the new direction and feel the vibe of the new music. Because there's definitely a vibe in that EP that is fresh and it's new but it still feels very STP." He added: "When we started writing, the ideas came so fast; every single day, it semed like there was four or five things that we were all bringing in and contributing in terms of new songs. We could have easily spent three more months on this thing and had a full-length record out. There's enough material there for us to do that and start getting into the next one. So in terms of the amount of creativity that's been going on, it's very healthy." STP fired Scott Weiland in February after reuniting with him in 2010 for a series of tours and one self-titled album. The band had previously been on hiatus since 2002, primarily due to the singer's struggles with drugs and alcohol. The group sued Weiland in May, accusing him of using the band's name to advance his solo career, while claiming that his poor performances, late arrivals, and addiction struggles harmed the band's career. Weiland has countersued, claiming that the band cannot use the STONE TEMPLE PILOTS name without him.